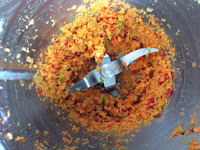 Here you will find my collection of simple, delicious & nutritious recipes created using the thermomix! 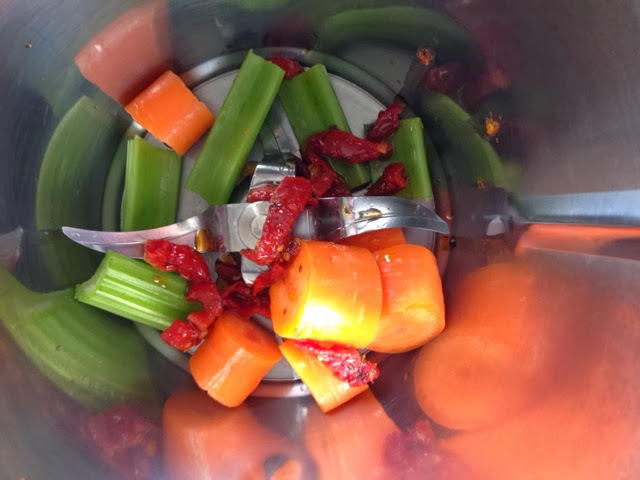 I am a thermomix consultant who needed a space to blab about my love for the machine! 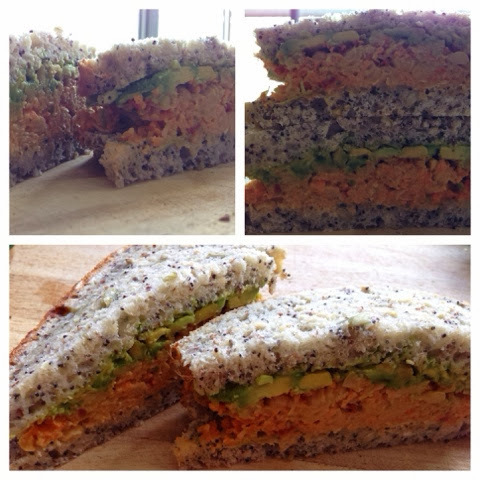 I love this quick and nutritious chickpea-based sandwich filling! I don't eat many sandwiches but after making an amazing 5 Seed Bread the other day, I had to devour it in as many ways possible! Get creative with your own flavourings, add fresh spinach or even try it toasted! I know you will love this quick lunch, so get Thermo-ing! Add 1 stalk celery, 1 carrot, and a forkful of sun-dried tomatoes to the TM bowl. Chop 5 seconds, speed 6. Scrape down bowl. 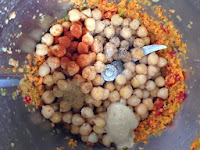 Add 1 tin chickpeas, drained and rinsed, 1 tsp cumin, 1 tsp paprika, 1 tbsp tahini, 1/2 lemon's juice, salt, pepper. Mix 3 seconds, speed 4. 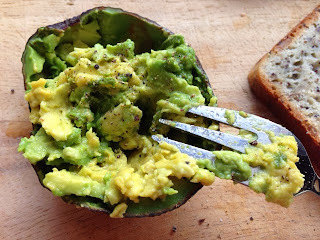 Cut open a ripe avocado and mash one half using a fork. Add a squeeze of lemon juice, salt and pepper. 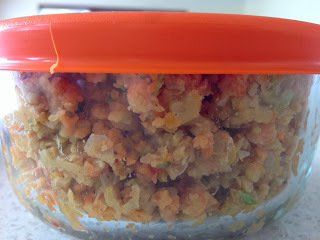 Spread onto one slice of bread. 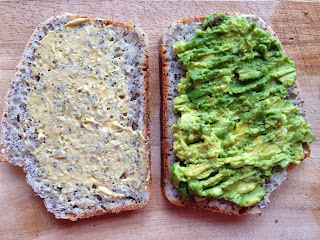 Use your favourite mustard (dijon, honey, american, wholegrain) and spread onto the other slice of bread. 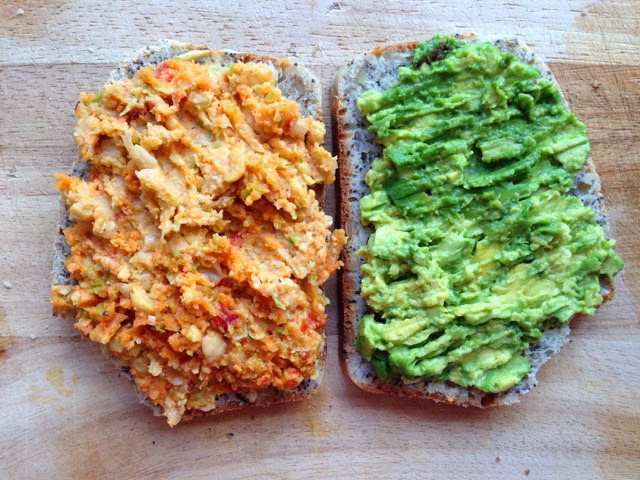 Add the chickpea smash to the bread and slice! *PS You can save the smash for up to one week in your fridge! 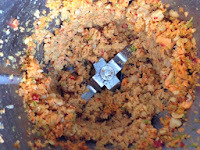 Be the first to know about new posts and amazing recipes! Follow v w's board my Thermomix blog! on Pinterest.